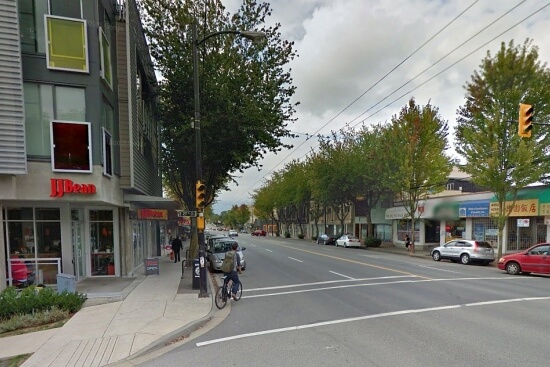 Fraser is easily Vancouver’s fastest changing neighborhood with plenty of new condo & townhome development going in along Fraser Street and Kingsway; and many of the older residential properties undergoing renovation. Just East of Main, Fraser has access to the many wonderful amenities trendy Main Street offers, but it’s well suited for access East & South too. Although on the cusp of many changes, right now the area is mainly home to single family residential properties with families supported by trades & service professionals. There are certain dense clusters that have pedestrian activity, the defacto hub being a busy intersection at 49th and Fraser. Just south of 49th you will find a bustling and vibrant local serving community where the residents come to mingle, shop & run errands. King Edward Street acts as a major route for East West travel and has very effective transit – while the schools of the area offer very competitive language studies. The large parks of the neighborhood act as the scene for many local sports teams and recreational leagues. Our clients are often very happy here and stay a long time. They feel the neighborhood offers good value with a bright future.